I just had to share some photos I took with my cell phone last Saturday. 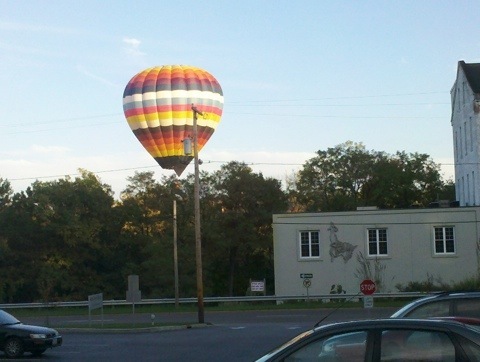 Mark and I were in downtown Kent at the Kent Free Library when a balloon lifted off on the other side of the river. We stood in the parking lot and watched it lift off and drift slowly right over top of us, maybe 50 – 100 feet off the ground. We watched it until it went out of sight behind the tree line next to the building. We caught another glimpse as we drove down Main towards Stow. 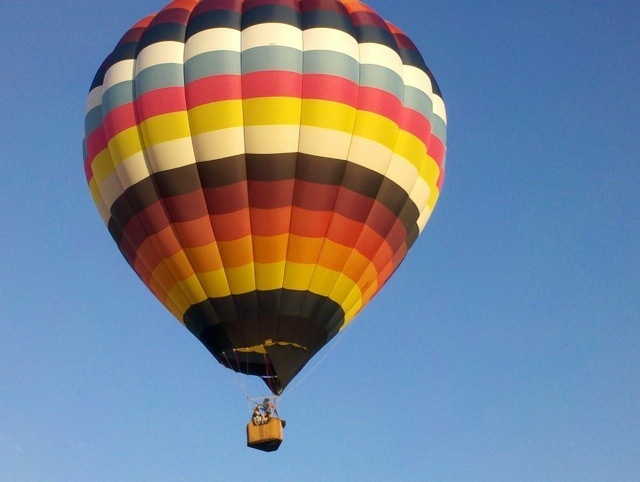 Mark was worried about the balloonist having no place to land safely in Stow, but I think they probably knew what they were doing. On the way to Stow, we passed the chase team in a truck pulling a trailer, along with what must have been the paying customers’ driver. Both vehicles were parked on the side of Main Street and slowly tracking the balloon’s path in the sky on the ground. The pictures turned out pretty good, for a cell phone. Although I sure wish I had had my camera with me. We were so close to it. 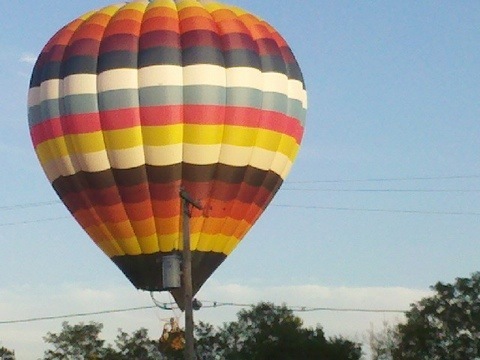 My Mom and I also watched the balloons lift off in mid-September from Ravenna. That was quite a sight, too. 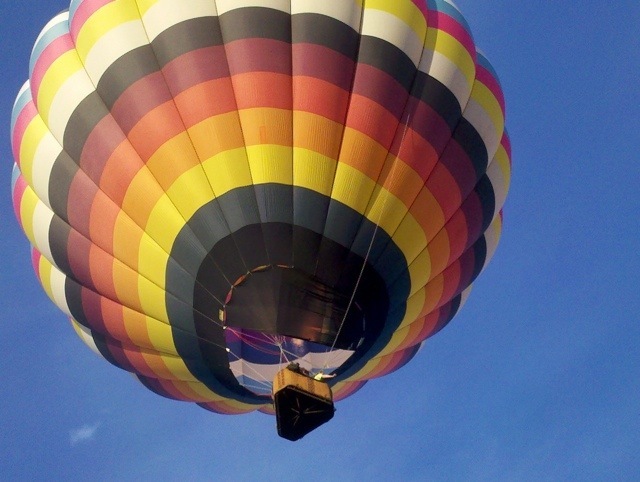 Mark and I are both like little kids when it comes to anything having to do with planes, jets or hot-air balloons! This entry was posted in Photos, Portage County. Bookmark the permalink.